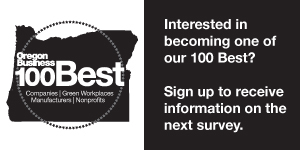 The 2018 list of the 100 Best Nonprofits to Work For in Oregon will put in your hands the info you need. The employees at these companies were surveyed and reported back on what it's like to work at their workplace. These were the 100 best. Including in the list you'll find direct links right to the companies' jobs or contact pages. If you want to check for job openings, you'll be right where you need to be. You'll also find crucial, insightful information including company description, headquarters city, Oregon mailing address, Oregon senior executive, number of Oregon and worldwide employees, and so much more!